And now that I’m in the “after” stage, the surprises, the realizations, and the moments when I feel most lucky to be alive, just keep coming. While 2013 is more low-key and quieter compared with the show-stopping production – to me – of 2012, its impact on me is nevertheless the same as a big production’s. I am certainly not done exploring the world yet, but coming home to Las Piñas after backpacking for almost two months made me appreciate the beauty of my home city. 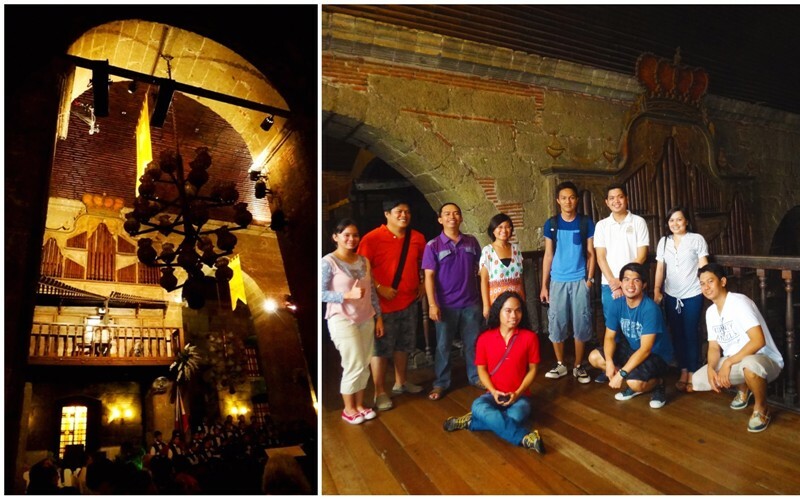 I attended the Bamboo Organ Festival for the first time, was mesmerized by the unique music flowing from the world’s only organ made almost entirely of bamboo, and felt so much pride that I later brought traveler and blogger friends to hear the music for themselves. I also took time to explore places closer to home, like Binondo. Ironically, it was in exploring the seemingly mundane that I met friends who I would meet and travel with more than once this year. 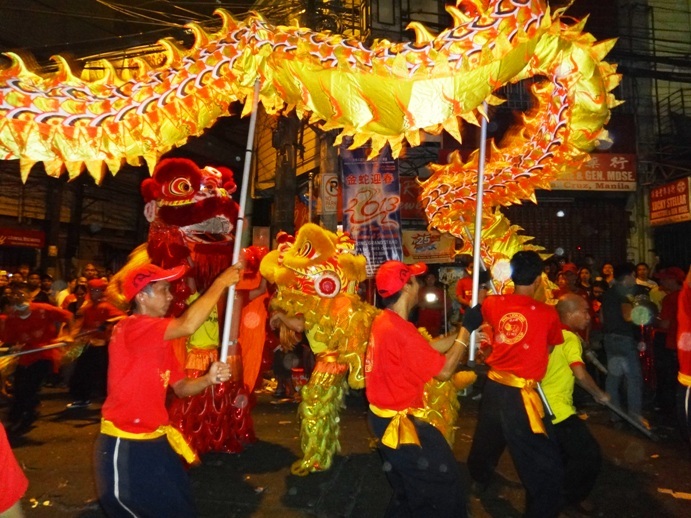 Later, I also experienced with some of them Manila Chinatown’s colorful and vibrant Chinese New Year celebration for the first time. While I have started to appreciate the beauty closer to home, I continued traveling far and ticking off bucket list items. 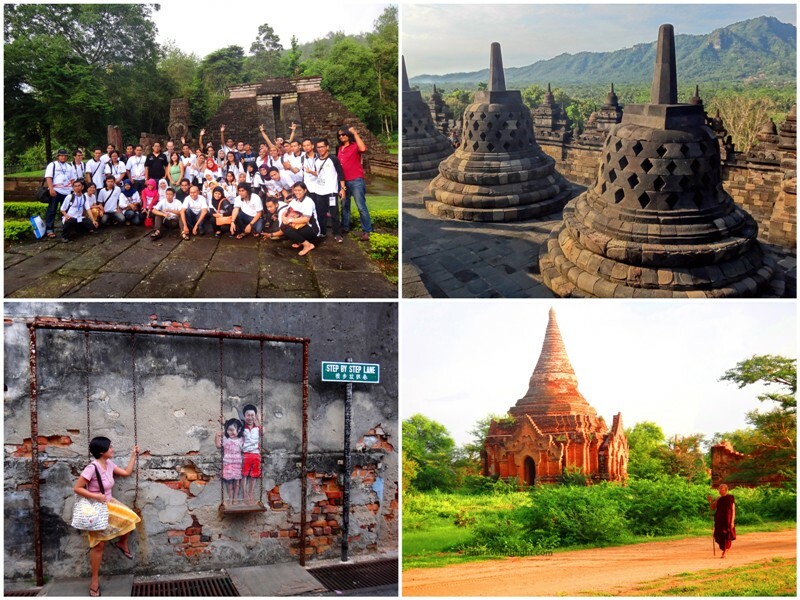 On my blog’s anniversary, I attended the ASEAN Blogger Conference in Solo, Indonesia and traveled with new friends, and was awed by the temples of Borobodur and Prambanan in neighboring Jogjakarta. On the later part of the year I fell in love with almost everything to do with Penang – its buildings rich in history, its eye-catching street art, its cheap, you-have-to-taste-it-to-know delicious street food, and its friendly people who go out of their way to help. I saw what the buzz was about in Myanmar and also promptly fell in love with its temples, food, and people, especially with Bagan’s thousands of fiery earth-colored temples. I also went back to places I love – this time, to experience their festivals. 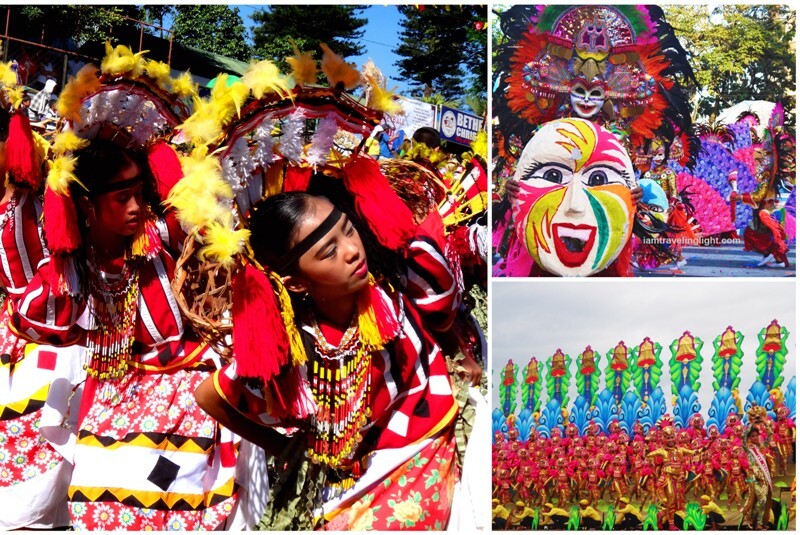 I was mute with awe at the richness of indigenous culture shown at the Kaamulan Festival in Bukidnon and the bright colors popping out at the Pintados-Kasadyaan Festival in Tacloban, Leyte and at Masskara Festival in Bacolod. The Kaamulan Festival was particularly special for me, as it reinforced my long-held dream to know more and commune with tribes, or indigenous groups, who have continued practicing their rich culture and tradition. This year, I was able to make that dream come true through four days of living with the Talaandigs in Bukidnon, people who I observed have admirably struck a balance between living out their traditions and accepting and integrating themselves in the world outside their tribe. Living with them has struck me in a way that I have yet to find the words for the experience, though I hope to do so this coming year. 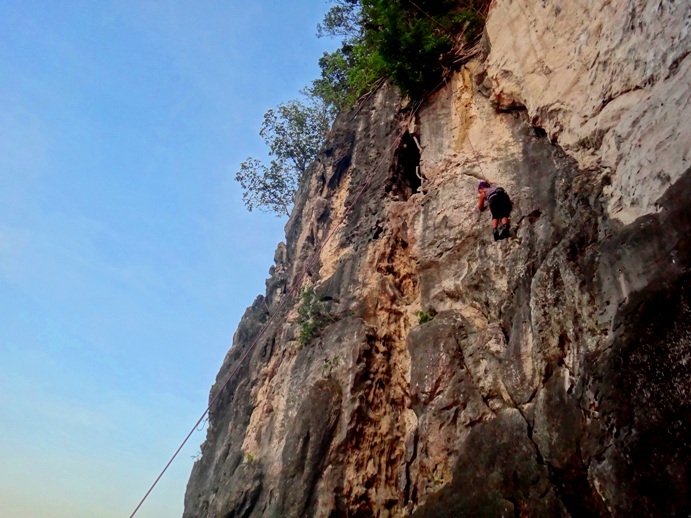 This year, I also crossed off a major item from my bucket list – rock climbing! And I found that I learned more life lessons from rock climbing than from school. I’ve also scaled mountains with friends this year which prepared me in a way for rock climbing. But I have also balanced this scaling and conquering with relaxing on beaches like the unspoiled Apo Island in Apo Reef, the powdery white sand reminiscent of Boracay in Calaguas, and the white double sandbars in Kalanggaman Island, Palompon, Leyte. I also took time to relax with friends, and closer to home, at Antipolo’s hanging gardens and spa. 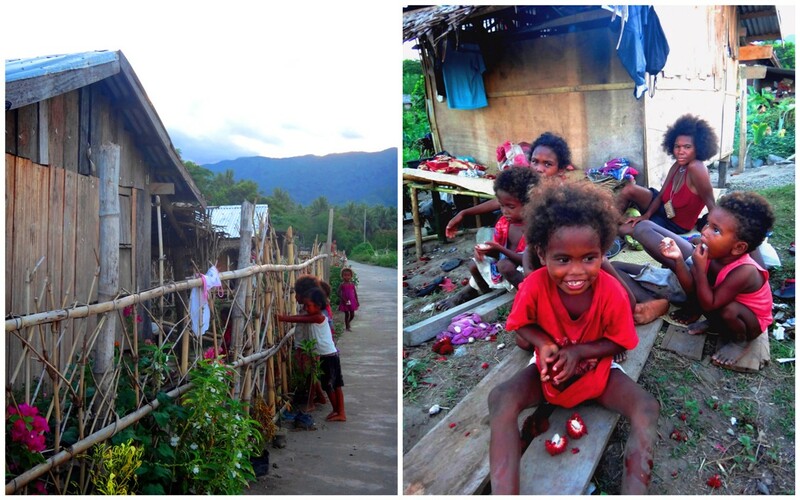 In my first blog entry for 2013, I wrote that I wanted to help or contribute in a way to people during my travels. 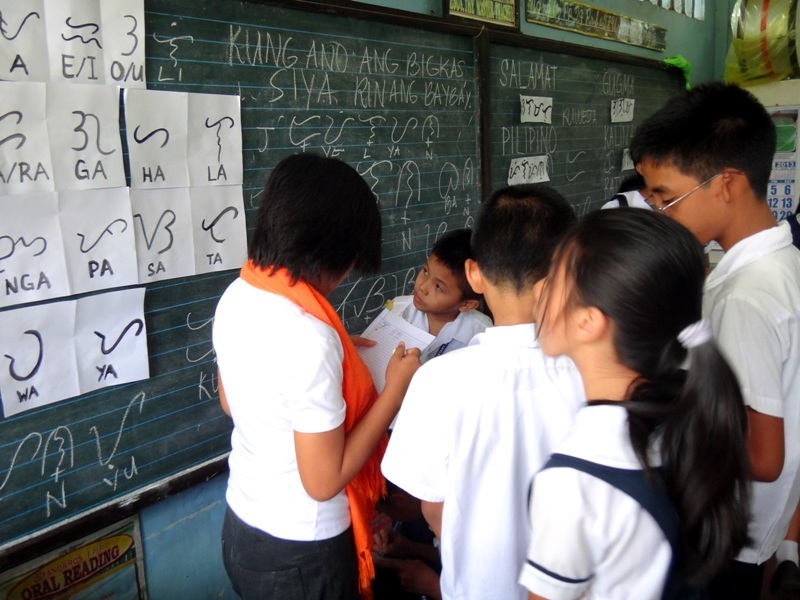 I tried to do that this year by teaching Baybayin, the ancient, pre-colonial Filipino writing system, to elementary students in Ormoc, Leyte, with the kind help of a blogger who also hosted me on that travel. I have also tried to solicit donations for the Dumagats in Aurora, who needed all they could get for livelihood and school for their children. I am grateful to all those who extended their help in whatever form they could give. To those who are curious, you can still help, by the way. There was a time, though, when I wanted so badly to help, but did not. It was when Yolanda (Haiyan) ravaged several parts of Visayas, most of the places I explored during my long-term backpacking adventure. My heart broken, my first instinct was to go to ground zero and do what I can, but not having the right training and enough skills to do so, I realized that I could actually become a liability. Instead, I reflected on what I could do to help given my capacity and resources. I especially admired the people who used their gifts to help Yolanda survivors in recovery and rebuilding. I have decided to help in debriefing efforts for long-term rebuilding and hopefully apply what I am learning at well-being facilitation workshops I have been attending – the same workshops I mentioned in my first 2013 blog entry, which I chose to attend regularly instead of traveling long-term this year. I open myself also to opportunities that may arise. I also wrote on my first blog entry of the year that I wanted to reach more people. Though I did not see my blog stats rise to astronomical proportions, I am happy to read occasional messages from readers who were helped or inspired by my blog posts. 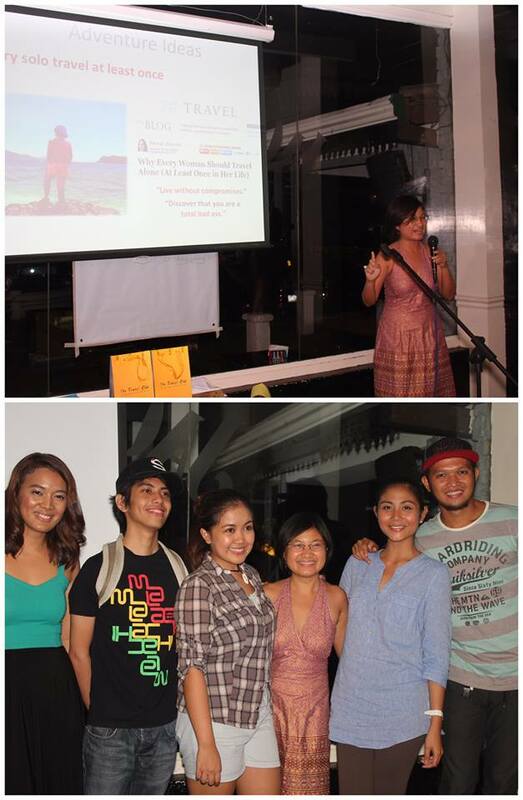 I also continued writing in other platforms, but the unexpected blessing of the year is getting the chance to talk about my passion for traveling and give tips from what I have learned along the way, thanks to a speaking invitation from TravelYoung, a group of young travelers who organize trips for people who want the usual or the off the beaten path. On 2012 I discovered the joy of long-term solo travel, especially meeting new people and spontaneously traveling with them, and being blessed by the kindness of strangers, with some becoming families I can return to. This year I was again amazed of how there seemed to be no limits to the kindness and hospitality of strangers, whether here in the Philippines or in other countries. While 2012 was a year of daring to fulfill my childhood dream and stepping out of my comfort zones in other ways, 2013 was a year of realizing and valuing what’s also important – home, and the people close to my heart, especially those I hope to be my lifelong travel companions. 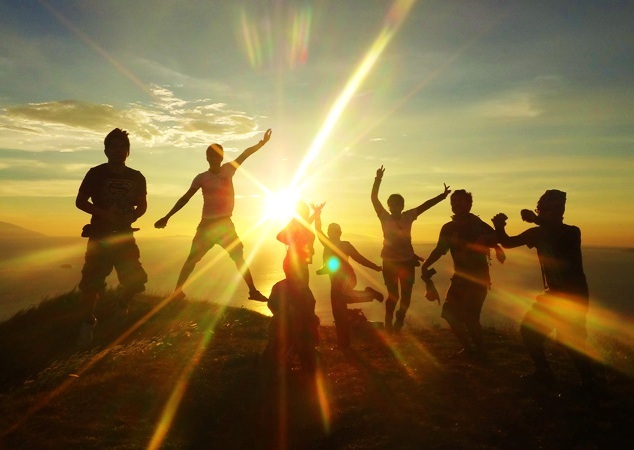 In the movie “Into The Wild,” as solo wilderness explorer Christopher McCandless was dying alone, he wrote: “Happiness [is] only real when shared.” I am glad I didn’t have to reach the end of my life to know the truth of those words. Kudos to your accomplishments this year, Claire! You’re blessed! Glad to finally meet you & our fellows! Cheers to a more hopeful, memorable & blessed new year for all of us! And I’m happy to finally meet you! Happy, bright and adventure-filled 2014! Jherson wasn’t wrong when he kept telling me (constantly) that I really had to meet you. He said that we were going to hit it off, and he was confident that we would. Truth be told, he was right. 🙂 Back when I was just a reader of your blog, I’ve already admired the way you wrote your pieces. I felt intimidated yet inspired all at the same time. So you can imagine the surprise when I finally met you in person. You were simple, beautiful, smart, bubbly — and very down-to-earth! I knew right there and then that I would enjoy having your company. 🙂 So, thank you Claire for inviting me for dinner. 🙂 Now, I’m more than willing to apply as one of your lifelong travel partners na.. hehehe! We will definitely be meeting this year – for that butterbeer, and perhaps for that hot choco with whipped cream! 😉 And hopefully travel together too! See you, Astrid! 😀 Happy 2014! Nakakarelate naman ako nung sa Yolanda. I am a nurse and I know can help the survivors. Pupunta sana ako ng Tacloban kaso hindi pumayag parents ko dahil nga nabalita yung mga taong namamaril. What I did is to gather donations from our neighborhood. Sana nakarating yun sa mga survivors. Happy 2014, Milet! Here’s to more adventures and successes! Real friend bare their soul to each other. No hesitations at all. I am proud to say I have found such a treasure in you. I love you, friend! Happy 2014! I’m inspired in your advocacy of teaching baybayin, ito lang ata mattawag na Filipino script/alphabet na meron tayo. By the way, sayang we haven’t met you when you visit Malaysia, anyhow Wish you more travels in 2014! I didn’t know you guys live in Malaysia. I got to meet Riz Baldivia when I was there, though. I will definitely be visiting Malaysia again. Hope to meet you next time. Happy travels this year! that quote by alexander supertramp are the words I live by. WIshing you more adventures this new year and may you share it with the people who share the same passion! CHEERS to 2014! Powerful words indeed. 🙂 Happy 2014! Epic solo travel stories, reaching to more people on the road, traveling with groups, and terrific number of visited places…I believe you are more than a fulfilled traveler now, Claire. Nevertheless, I know that you will not rest from there. So, may 2014 be as spectacular as the previous year. Thank you for that, Claire. Congrats po – sobrang daming travel and accomplishments. Its very inspiring. Sayang sana na meet kita sa Kidapawan, it would be extra special sana 🙂 more incredible journeys po sa 2014! Maybe next time. 🙂 Happy 2014! What a great year you’ve had, Claire. Here’s hoping 2014 will be better! Happy new year! Thanks, Aleah! Wishing the same for you. I love your 2013, Claire!!! I am even a bit (yes, just a bit haha) jealous that you got to immerse with IP communities this year. They’re really awesome, aren’t they? 🙂 Collab this year, yes? Collab sounds good. Let’s talk more about it. Happy 2014! Teh.. awesome 2013!!!! 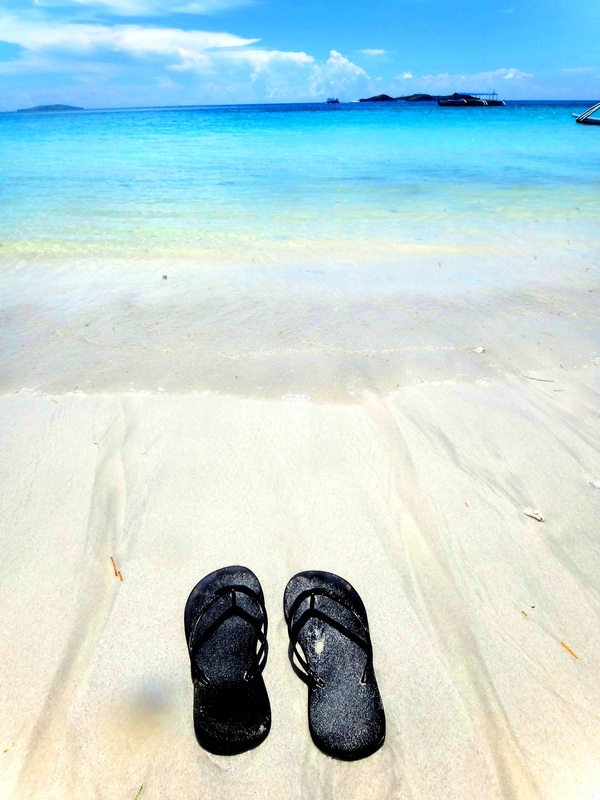 Bring me to kalanggaman island hehehehee!! Happy new year teh!!! More travels in 2014!!! Thanks! 🙂 🙂 🙂 Congrats on your health advocacy work too! See you on more adventures this year! Thanks, Marj! 😀 😀 Happy 2014! Ok naman a! 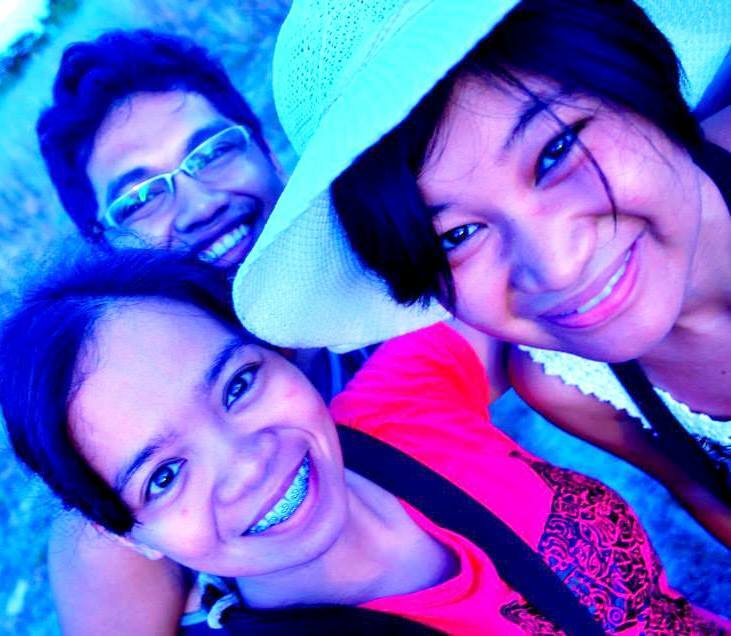 =) It was the best close-up picture of us I could find. Yung Baguio mukha ka na talagang background doon LOL.